On Fridays closest to when the full moon rises over the Shanahan Building of Harvey Mudd College, the 35 active members of the Pomona Valley Amateur Astronomers Club gather inside to consider recent astronomical events and to listen to guest speakers—scientists, professors and astronomers—who are discussing their recent astronomical findings. 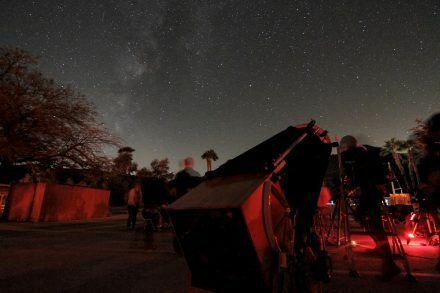 The following day, they trek to an area with no light pollution or smog—like Borrego Springs in the Anza-Borrego Desert, the Calico Mines, Joshua Tree National Monument—for their monthly star party. With only the light of the full moon shining over them, they bring out their small spyglass-type refractor and large 18-22 inch reflector telescopes to marvel at the heavens. 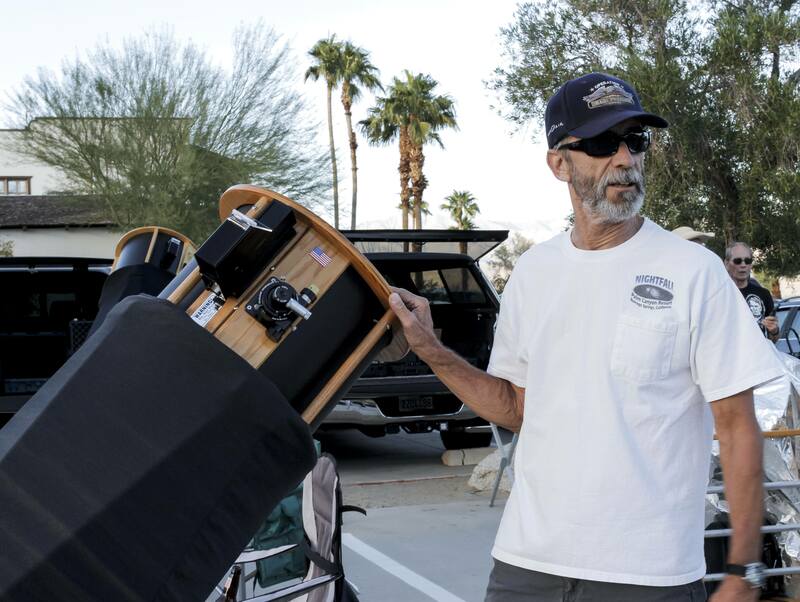 In daylight, Jeff Kaufman shows off his self-built astro-photography rig at the Nightfall Star Party at Borrego Springs. Utilizing prefabricated parts, the specialized camera has a built-in cooling system on the sensor chip to reduce sensor noise. Despite the high-tech nature of the rig, the lens used is an old Nikon zoom lens manufactured in the 1980s. Who has not looked at the moon with an inexpensive telescope and searched for the American flag planted by Neil Armstrong on a summer night in 1969? Who has not looked up at a distant star and wondered whether life exists there. It is the great mystery on a nightly canvas if only one takes the opportunity to look up, as humans have been doing for hundreds of thousands of years. The club members want to share the experience. “Visitors from the public are welcome at both our general meetings and our star parties. 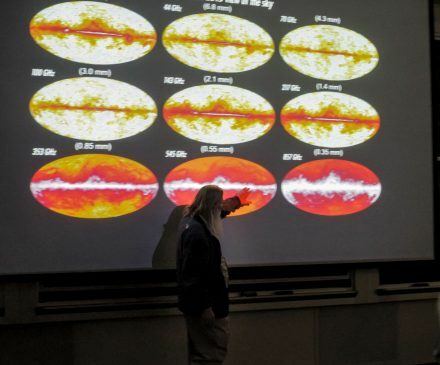 We also have a monthly board meeting and occasional events at local schools and libraries,” says Mathew Wedel, president, who by day is a “traveling businessman,” but by night is an astronomer. Aside from star parties and discussion of theories, the club sponsors outreach programs and events to involve the community. “We used to get big groups up to Mt. 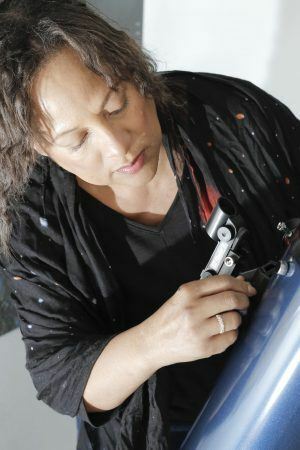 Palomar to tour the observatory to view their 60 inch scope or Mt. Wilson to see their amazing 100 inch scope,” Board Member Cori Charles says. The program is so popular that there is a wait time of several weeks. 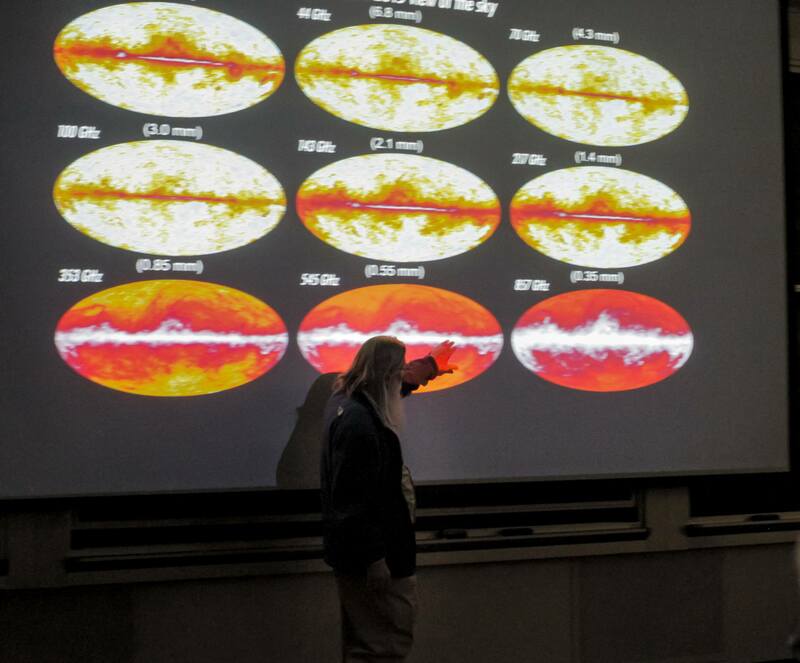 “We have placed three telescopes in the library—it’s been a wildly successful program,” he says. The club also takes part in Project Bright Sky, an organization enabling blind individuals to see space and to understand the universe for the first time using optic technology. The Pomona Valley Amateur Astronomers Club recently boasted an active dues paying membership roster with more than 100 names. Presently, the number is at 35 active dues paying members. Membership extends not only to individual adults, who pay $30, but also to students, who pay $20. Families can join officially for $40. Despite the active member status, the public is welcome to join in at any event. Paying members receive the Nightfall Newsletter, discounts on scholarly journals and magazines, and access to telescopes, which they can check out freely. Nov. 3 was 13-year-old Nick Andrew’s first meeting. He wore a shirt with eight Pi symbols and the word “Octo-pi” across it. Andrew found out about the club online and asked his father to take him. “I’m interested in astronomy and decided to come,” he says. On this night, Kevin Eltcher, a former aerospace engineer for Boeing and author of “The Star: An Investigative Journey in Search of the Star of Bethlehem,” told how he used astro-engineering software to deduce that the star of Bethlehem could have been the planet Jupiter. His matrix and pictures suggest that Jupiter was visible for multiple days, was most prominent for travels to the west and would have been brightly visible from the east of Bethlehem, where the Magi were from according to the Gospel of Matthew. For more information, visit PVAA.us on the web. Monthly club meetings are held at Harvey Mudd College, Shanahan Building, Room 403, 7:30 p.m., the Friday closest to the full moon.